I broke my back in October 2012 and lived with chronic pain for five years. This is a reality for many people who undergo surgery or suffer from spinal conditions and nerve pain is particularly severe. If you are a chronic pain patient, you have pain 24 hours a day, seven days a week, every minute of your life. The most common outcome of living with pain is depression. Pain can be debilitating and you spend a lot of time in denial and asking why me. After many years coping successfully with chronic nerve pain I want to share advice for others experiencing similar trauma. Ideally you want to aim to be at stage 3, Active Acceptance, however it can be a gradual case of passing through all stages. If you want to accept pain and move on with your life the best mechanism for coping is a combination of exercise, meditation, ergonomics and pain relief. The cause of chronic nerve pain will vary for every person however exercise will always help. When I was living with chronic nerve pain I observed during periods where I was very active the nerve pain became less severe, irrespective of the type of exercise. Even when every single movement causes extreme pain such as in my case, exercise took the edge off and made a difference in long term pain management and general wellbeing. I sought advice from both a physiotherapist and a personal trainer to devise my own exercise plan, which involved cardio, stretching and light weights with the key goal to strengthen my core muscles (the centre of all movement). It took approximately 2 months of regular exercise to realise the benefits. My preferred exercise regime became a combination of medium-difficulty Pilates classes with light cardio (40 minutes combined on the treadmill, rowing machine and cross trainer per workout). Regular meditation will help your mental wellbeing and provide the mental tools you need to withstand constant pain. Meditation does not need to be in the Buddhist style. The purpose is to focus your thoughts on preparing your body for recovery. Mentally imagine your body including all the bones and nerves running through it. Imagine the broken bones knitting together, envision the damaged nerves repairing, and block out the pain. You can meditate anywhere, even in bed before falling asleep. The focus is mental control not location or ritual. Whoever thought that the boring ergonomic claptrap was actually meaningful? But knowing how to get out of bed, stand up, sit and pick up objects properly is actually important. It can break or make you. Do some reading online or speak with an occupational therapist to understand small things you can do in your home and work life to reduce further injury. It is easy for other people to say avoid pain relief. However anyone who has suffered from chronic nerve pain knows it is debilitating and pain relief is a necessity. Chronic nerve pain can prevent people from sleeping, or make it impossible to walk, move or put any pressure on the legs. There are a few different options for medication that you can use exclusively or in combination, the key is to ensure you maintain the dosage. You should never take enough medication to completely stop the pain, you need to maintain some awareness of what is happening with your body and you must also allow room to increase the dosage overtime as your body does get used to long-term use. Lastly, the side effects of pain relief are considerable, so you want to minimise those as much as you can. Most doctors use the following scale, if your pain untreated is an 8 then try to reduce by 50% with medication. For chronic long term pain, a combination of tricyclic antidepressants and opiate pain relief is sustainable. Amitriptyline is the main type of tricyclic antidepressant used to treat chronic nerve pain. It works by interfering with the way nerve impulses are sent to the brain. You will generally not see results until after 4-6 weeks of use, so many people give up on them quickly. It can be a good solution for long term nerve pain because the side effects are minimal and decrease over time. Side effects include constipation, nausea, irritability and anxiousness. Tricyclic antidepressants also work well in combination with opiate painkillers and anti-epileptic medication. Anti-Epileptic medications work by interfering with nerve impulses causing pain. You normally start with a low dosage that will increase over time. It can take a number of weeks before you can start feeling the effects. The two most common types prescribed for pain relief are Pregabalin (Lyrica) and Gabapentin (Neurontin). I’ve trialled both separately over a course of several months and found the pain relief to be fairly minimal and not worth the side effects which include constipation, diarrhoea, dry mouth, headaches, increased appetite, weight gain (or loss, sometimes) and drowsiness. 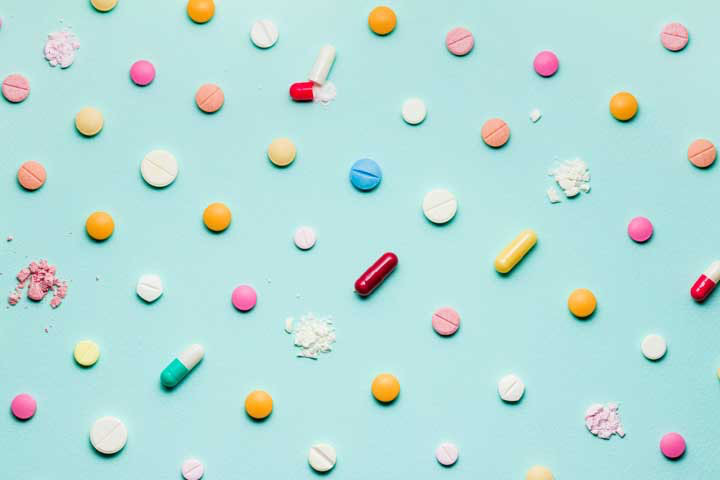 These are stronger than traditional pain killers and include Morphine, Codeine or Tramadol, the latter which is a man-made opiate and most often prescribed. The pain relief is very quick and you don’t need to wait weeks of trial like the above medications. It is not normally prescribed unless the pain is absolutely chronic and other medications do not work because there is a risk of mental impairment and drug dependence. Always take paracetamol in conjunction with any opiate medication because it increases the effects. The strongest and most common side effect is constipation and psychological and/or physical dependence. Withdrawal symptoms can be bad, so when it’s time to stop try The Thomas recipe for Opiate Detox. The above recommendations will help you deal with chronic nerve pain on a day-to-day basis. However if your pain is long term you will want to look ahead at other solutions such as alternative remedies, acupuncture, chiropractic treatment (not suitable for people who have had recent surgery), anesthetic injections and surgery. Read other websites and forums for nerve pain and back-related problems, and speak with your doctor. Chronic nerve pain is hard to deal with but it doesn’t need to stop you from living life.